At Cars Trucks & Vans, we understand that the best way to care for your car or truck is to follow the service intervals that your vehicle's manufacturer recommends. 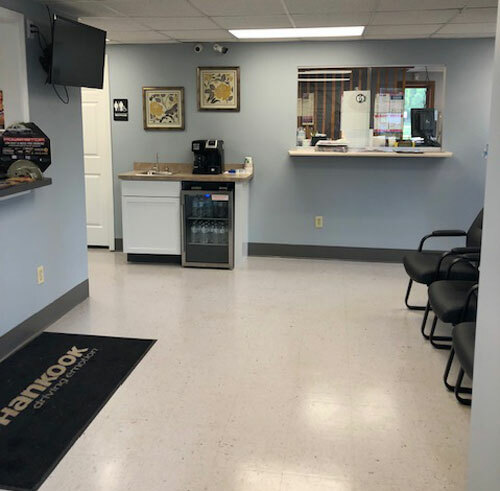 Servicing all brands, models, imports and fuel systems in Davenport, Cars Trucks & Vans has the tools and expertise to make sure your ride runs exactly as its manufacturer intended it to. From reminding you about routine service intervals to ensuring that all fluids, filters, and hoses are in optimal condition, Cars Trucks & Vans takes care of your vehicle and leaves you with one less item on your to do list. Contact us at 563-386-0030, or send us an email, and our experts will be happy to answer your questions and determine what needs to be done. A fan belt, also known as a drive belt, is a belt connecting your car's engine to the front mounted accessories. The fan belt rotates the water pump and engine fan, which maintains a cool environment for the engine and its components. Sooner or later, your vehicle's fan belts will dry out and crack. When you are ready for a replacement you can count on Cars Trucks & Vans for all your vehicle's repair needs. You not only have to get the belts replaced with quality ones but you should have the work done by experts. To have the belts replaced by auto cooling and heating experts - and get your car driving right - visit Cars Trucks & Vans today. The mechanics at Cars Trucks & Vans will thoroughly inspect your car's belts; replace all worn belts; and adjust the installed belts. No one likes to see their car's "Check Engine" light come on. The light could mean a costly problem, like a bad catalytic converter, or it could be something minor, like a loose gas cap. At Cars Trucks & Vans, we can pull the code and diagnose the problem for you. Give us a call at 563-386-0030 or stop by the shop for our expert assistance. Automotive and auto parts come with a factory recommended service and maintenance schedule. The manufacturer will tell you how often to service or replace an auto part. At Cars Trucks & Vans, we offer factory recommended service/maintenance. Our highly skilled auto mechanics offer comprehensive knowledge and experience. At Cars Trucks & Vans, all your factory recommended service/maintenance needs are handled with the latest diagnostic equipment. Remember, we work on all American and imported vehicles (either diesel or gas engines). To maintain maximum visibility (and keep you safe), you should always make sure that your vehicle's headlight bulbs are in good working condition. Although replacing faulty headlight bulbs is a simple and quick process (takes very little time), you need to rely on an experienced auto mechanic to handle your headlight and bulb replacement. This way, you will have quality bulbs installed by experts. Remember, it is a critical part of your car's maintenance and your safety. For all your headlight and bulb replacement needs, call or visit Cars Trucks & Vans today. Hoses transfer coolant and antifreeze throughout the engine's cooling system (including the radiator). Sooner or later, your vehicle's hoses will dry out and crack. When you are ready for a replacement you can count on Cars Trucks & Vans for all your vehicle's repair needs. You not only have to get the hoses replaced with quality ones but you should have the work done by experts. To have the hoses replaced by auto cooling and heating experts - and get your car driving right - visit Cars Trucks & Vans today. The mechanics at Cars Trucks & Vans will thoroughly inspect your car's hoses; replace all worn hoses; and adjust the installed hoses. To keep running smoothly, your car highly relies on oil, lube, and oil filters. Oil helps in lubricating, cooling, and cleaning the internal engine components. With time, motor oil becomes contaminated. Your car needs an oil, lube, and filter change every three months (or 3,000 miles). 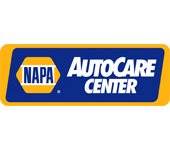 When it is time for a lube, oil, or filter change, take your vehicle to Cars Trucks & Vans in Davenport, IA 52806. Visibility is very important to safe driving. Having properly functioning wipers can help keep you safer on the road. If your car's wipers are not wiping well or are leaving lines, have them replaced immediately. To have wiper blades fitted on your vehicle, call 563-386-0030 or visit Cars Trucks & Vans today. We will fit your car with high quality and effective wiper blades.